Executive presence is a term that is often not clearly defined but has a nice “ring” to it. Some would associate it with proper communication, personal appearance, confidence or even body language. And because it is often indescribable, others would dub it as the “it” factor. Human resource consultants agree that teaching professionals or top managerial applicants the art of building executive presence may be a bit complicated because it can’t easily be described. Still, building executive presence helps in defining you as a credible professional in your field as well as the level of expertise you can offer an organization in need of your services. 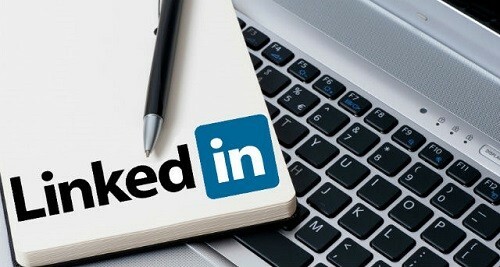 LinkedIn, being one of the most relevant tools of recruiters in executive search, is a great online platform where you can showcase your expertise, in that you can create a profile with all “the works” in order to establish your personal brand. Not many professionals are comfortable in celebrating themselves other than carrying their professional titles. While you may be tempted to just use usual title that defines your role, you are encouraged to dig deeper and create a good description of your expertise. A good description can likewise help headhunters locate you when they type in keywords on the LinkedIn site and in search engines. When you personalize your URL, you’ll have your name or a combination of your name and title in it. In order to edit your URL on LinkedIn or change the generic one they provide go to “edit my profile” and under the profile header click “edit” next to the listed URL on the right of public profile. Take advantage of LinkedIn’s feature where you can create a profile based on your professional story. This story help recruiters and searchers make an initial judgment of your expertise and assess whether you should be considered for recruitment. Another bonus when you do this is that LinkedIn will be able to analyze your profile and recommend job suggestions you might be interested in. Make it easy for people to find you by using appropriate keywords in your headline, profile, job title, or even occasional posts. By using keywords, you strongly establish the many things that your expertise can do; this also makes it easy for your network connections to endorse you or refer you for a job or recruiter that they know. People are visual being and enjoy looking at images. By using a clean, clear image of yourself taken by a professional photographer will help complement your profile. Avoid using images with cluttered background of seem to have been taken from a private party, regardless if you look good in it. Impress your would-be recruiter that when it comes be being “professional” you know what that means. There is a good reason why other people on LinkedIn would like to connect with you – they value your expert opinion. Regularly create posts that demonstrate that; it could be describing a work situation that you have helped improved, a basic FAQ in your line of work, or professional hacks that help improve work productivity where your service is involved. If you think this is great, share this with your friends! This entry was posted in Coffee Chat. Bookmark the permalink. ← What Does Your Social Media Says About You? Proudly powered by WordPress | Theme: Coursepad Blog by Underscores.me. Our Learn, Do, Share™ methodology makes a point to keep this process fun, light and addictively engaging and effectively reframes your training programmes from a chore to an engaging game to end-users. This paradigm shift has led to our clients consistently reaping the benefits of increased retention and participation scores their programmes.